Contour Mortgage is a mortgage banker, but they can also act as a broker if their customers require. They are found primarily in the eastern part of the United States, but are licensed in 20 different states. They have 12 branch locations, and if you can’t visit one locally, you can chat with them or leave a message on their website. Contour Mortgage offers loans for those looking to purchase, renovate, consolidate debt, refinance, and more! 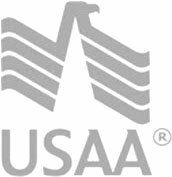 They also offer VA loans for veterans and their spouses, and jumbo loans for those looking to purchase a house worth more than the conforming limit. With so many different loan options, Contour Mortgage may just have the one that’s right for you. Contour Mortgage started in 1993.